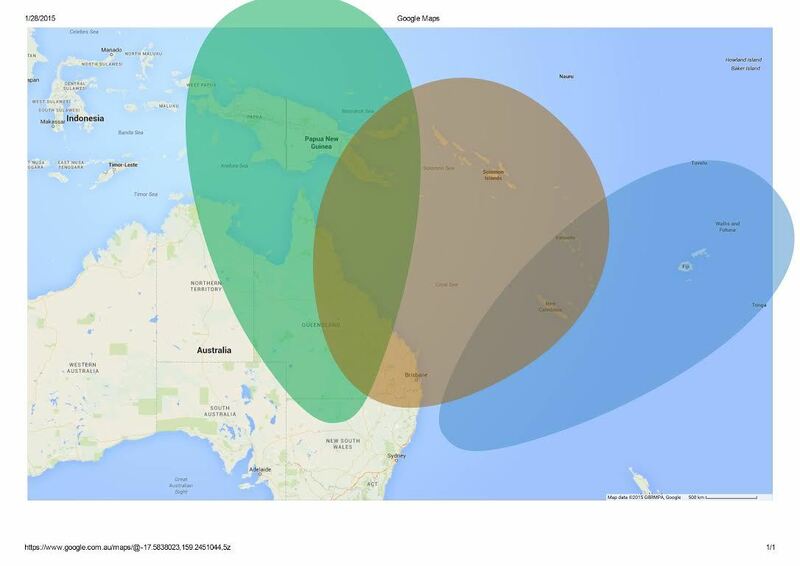 Speaking of the Radio Australia shortwave service reductions, I just received RA’s new propagation map (above) and schedule (below). Click images to enlarge. Brandon last broadcast 31st January. Shepparton reduced schedule from 1st February. 3 transmitters only. Reminder – preferred backup domestic source is Classic FM, not Radio National. […]Radio Australia News ex N05 will be the SERN bed news 0600-1800 Monday-Friday. This entry was posted in Broadcasters, News, Schedules and Frequencies, Shortwave Radio, What's On Shortwave and tagged RA Cuts, Radio Australia Cuts, Radio Australia Pacific Service Cuts, Radio Australia Schedule on January 30, 2015 by Thomas. 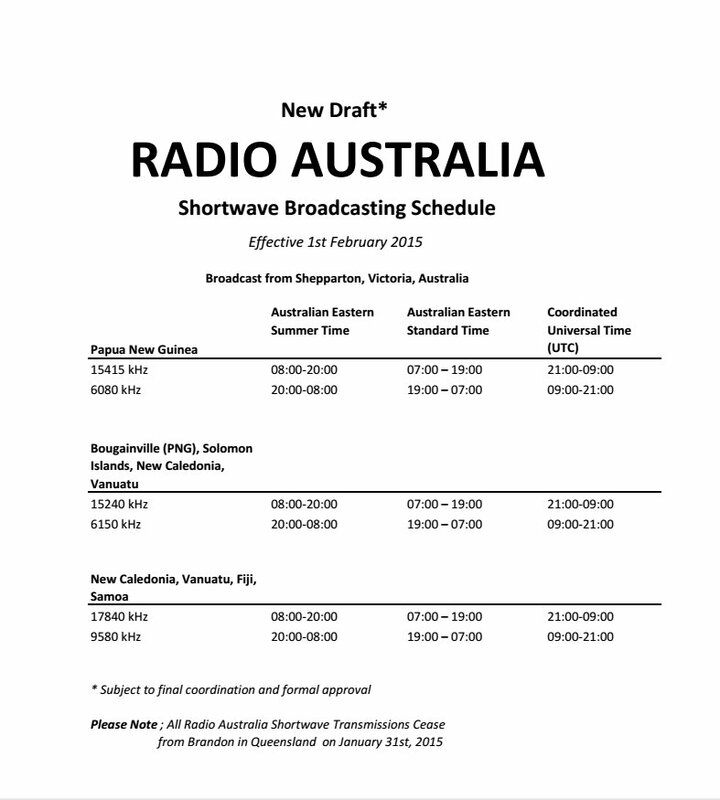 On Sunday, Radio Australia’s shortwave signal to Asia will be turned off, another result the ABC says of recent government funding cuts. Shortwave broadcasting into the Pacific will continue, but signal strenth outside Papua New Guinea, Solomon Islands and Fiji may be degraded. Alex Oliver from the Lowy Institute has contributed evidence to Australian parliamentary inquiries and committees on foreign affairs, defence and trade for many years. So does she view the switch off as a big step back from international broadcasting by Australia, or simply the retirement of some old technology. Listen to audio of the full interview by clicking here. This entry was posted in Broadcasters, International Broadcasting, News, Shortwave Radio and tagged Australia, RA Cuts, Radio Australia, Radio Australia Pacific Service Cuts, Radio Australia Shortwave on January 30, 2015 by Thomas. For your listening pleasure: Radio Österreich International. This recording was made on 6,155 kHz on January 29, 2015 starting about 05:59 UTC. 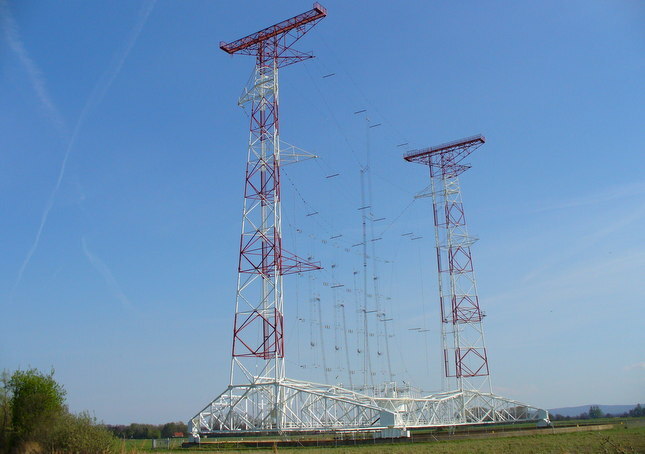 Only recently, SWLing Post reader, Eric asked about orchestral music on shortwave–as you’ll hear, Radio Oesterreich International is certainly a good source! This entry was posted in Broadcasters, News, Recordings, Shortwave Radio, What's On Shortwave and tagged Austria, Austrian Radio International, German, ORF, Radio Oesterreich International, Radio Österreich International, ROI, Österreich on January 30, 2015 by Thomas. Helliniki Radiophonia on 9,420 kHz or 9,415 kHz? “Tuned [to Helliniki Radiophonia] during band scan at 0110 UT. It was playing 1970s rock music like Love is Like Oxygen by Sweet and Evil Woman by ELO. Male announcer speaking in Greek between each song. Initial signal strength was weak SIO 233 on PL-880 and PL-380. Also weak and noisy on University of Twente Websdr. Switched to local Perseus with Wellbrook antenna. 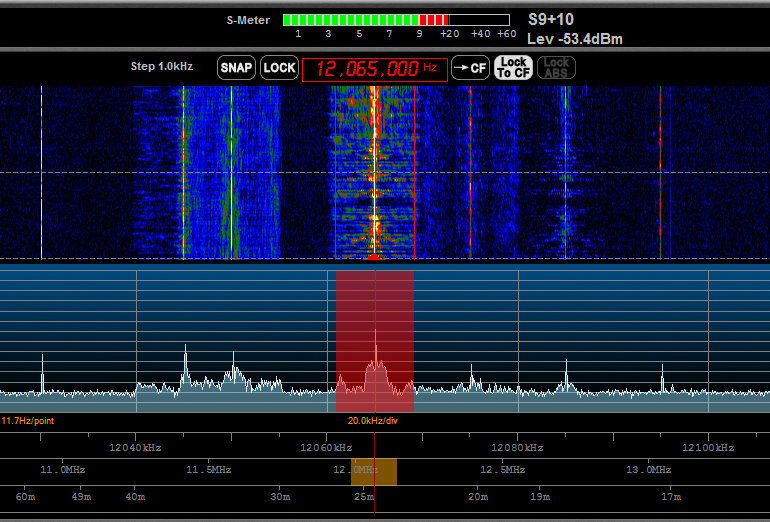 Reception improved from SIO 443 to SIO 555 during recording of 100 kHz wide RF from 0126 to 0140. Many thanks for this detailed listener report, Mark. Indeed, several of us have noted Helliniki Radiophonia on 9,415 occasionally. Last year, I made all-night recordings where RH remained on 9,415 the entire time. 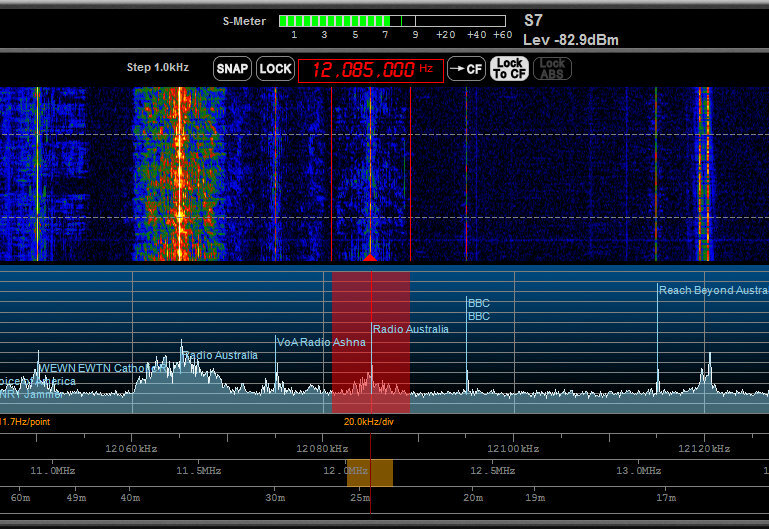 I have no idea why RH is hopping between 9,415 and 9,420 kHz. Initially, I thought this may be due to the fact that they were silent on 9,420 for an extended perios of time last year and Voice Of Islamic Republic of Iran, who shares the same frequency, seemed to take its place. I even had a few readers note that when Helliniki Radiophonia returned to 9,420 kHz, interference from Iran was substantial and the occasional move to 9,415 kHz was, perhaps, to obtain a clear frequency. In truth, though, this is speculation; is this frequency shift deliberate or accidental? Do any SWLing Post readers have a definitive answer? This entry was posted in Broadcasters, News, What's On Shortwave and tagged Elliniki Radiofonia, EPT, EPT Open, Helliniki Radiophonia, Voice of Greece, Voice Of Islamic Republic of Iran on January 29, 2015 by Thomas.